Having a personal trainer does wonders for your health. Regardless if you have a human or a robotic trainer, you will certainly lose more weight with a trainer than on your own. The low point happens after you step out of the gym and you go back to your couch and old eating habits. Because of this, Jawbone – manufacturer of most Bluetooth headsets – released Up. Up are wristbands that track your physical activity whenever worn. It uses a new built-in vibration and motion sensor technology. The wristbands are due to be released later this year and it will be tied to a smartphone application. Within the application you can log and keep track of your eating habits by taking a picture of your meal. The application will then compute the nutritional and total caloric content of your food. This application will then provide you an analysis of your lifestyle; your eating habits against your physical activity. It also comes with pep talks to push you to improve your current health habits. With our present level of technology, there are rarely enough innovations directed towards health improvement. When Nintendo Wii, the industry started to see how the gaming and exercise industry could merge. The Up technology wants to provide a comprehensive picture of your health from the moment you wake up to when you fall asleep. Ordinary pain killers like paracetamol may actually work better for dementia than other risky antipsychotic drugs, according to a new study released on Monday. A study published on the British Medical Journal, dementia patients who took ordinary pain killers have significantly less agitation than those who were given standard treatment for the disease. Extreme agitation and aggression are two of the most common symptoms of dementia in its advance stages. Those behaviors are distressing not only for the patient, but also for the family members. The condition usually includes pain and the inability of the patient to pin-point the source of pain. In many countries, powerful antidepressants and antipsychotics are the drugs of choice and are prescribed in at least 50% of patients with dementia in nursing homes. Those treatments are relatively dangerous. In Britain, for example, in 180,000 dementia patients treated with antipsychotics and antidepressants, there are 1,800 excess deaths and 1,620 excess strokes per year; a recent study has shown. The researchers said that these data clearly shows the need for a safer alternative treatment for dementia. That is also precisely why a research led by Dag Aarsland was initiated. Over an eight-week period, a control group were given the standard treatment while the others were given standard pain killers – paracetamol, buprenorphine, and morphine. At the end of 8 weeks, several physicians who do not know which ones took pain killers and those who followed the standard treatment course interviewed the patients. The study showed a clinical and statistical reduction in pain and agitation among patients who took regular pain killers. A recent study suggests that men are much more likely to die from majority of specific types of cancer than women in the United States. U.S. researchers from National Cancer Institute cancer epidemiology and genetics division used survival data and vital rates for 36 types of cancer to determine whether survival and mortality rates from cancer differ with gender. The research found that mortality rates from mouth cancer have the largest gender gap with deaths in 5.51 men for every woman. It is followed by laryngeal cancer at 5.37, hypoparyngeal cancer at 4.47 and esophageal cancer at 4.08. Also, more men than women die from cancers with high overall mortality rates such as lung cancer with 2.31 deaths in men for every woman, as well as colorectal caner with 1.42 deaths in men for every woman. Meanwhile, the study showed that there are 1.37 men for every woman who dies from pancreatic cancer, 1.75 for leukemia and 2.23 for liver cancer. According to the researchers, it was not easy to identify what really caused the gap in gender. But, they cited various tumor behaviors, including disparities in the regularity of medical examinations. For example, men in the United States are more likely than women to be diagnosed with cancer at an advanced stage. Michael B. Cook, researcher at the National Cancer Institute, said the research suggests that frequency of cancer diagnosis is the main factor that drives the larger rates of cancer mortality in men, instead of poorer survival once the disease occurs. On Tuesday, the Medicines Patent Pool and the United States pharmaceutical company Gilead Sciences announced a deal to boost HIV drug access in developing countries by introducing generic manufacturing. Under the new licensing agreement for HIV drugs, tenofovir, emtricitabine, cobicistat, and elvitegravir will be allowed to have low-cost copycats. Also included in their licensing deal is the creation of a new combination drug called the Quad. Executive director of the Medicines Patent Pool, Ellen ‘t Hoen, said that this license deal marks a milestone in the treatment of HIV. Because of this, HIV medicines will become more accessible and cheap. People in developing countries have to wait for years before they can get their hand on recent health technologies. Because of the new agreement with Gilead Sciences, people from poorer countries can now get these HIV medicines without delay. 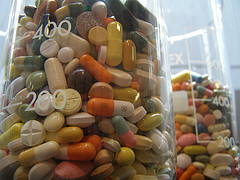 All thanks to generic drugs, the cost of HIV treatment has dropped from $10,000 in 2000 to $86 per patient per year. There is still, however, a need for more expensive drugs to give doctors options because some patients do not respond well to generic medicine. Also, HIV mutates which puts patients at risk for long-term drug resistance problem. This is the first of its kind; the first agreement between a pharmaceutical company and Medicine Patents Pool. 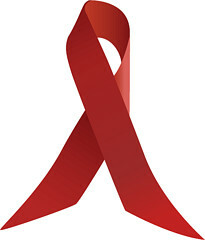 This is a good step towards overcoming our problems with the increasing HIV rate. The British government offered a warning for their youngest citizens – preschoolers, toddlers, and even babies – that if they do not want to become obese when they grow older, they need to start they daily exercises now. On Monday, Britain started a campaign against obesity. The government basically wants all children below the age of 5 – even those who cannot walk yet – to exercise regularly. The guidelines indicate that kids should exercise for at least three hours a day, every day. Officials said that they see a growing trend among children living a more sedentary lifestyle. Instead of running around, children tend to spend more time with computers and television. United Kingdom officials said that the three-hour recommended exercise time for kids under five years old should be spread throughout the day; the children could probably have an hour and thirty minutes playing in the morning then another hour and thirty in the afternoon. Exercises for children are not only limited to playing. You can have them walk around the park instead of carrying them in their strollers. There are also a lot of sport activities that the children can engage in at a young age of five and under – mini-basketballs, swimming, and badminton. The government, however, said that the children’s individual mental and physical abilities must be considered when following their advice. For children who cannot walk yet, any floor-based play is extremely helpful for them. They exercise while moving around on their stomach; they can start reaching out to objects and the like. What is important, the government said, is that parents introduce their children to physical activities early on because being sedentary is a habit that is difficult to shake off. A recent study suggests that an older class of antiretroviral drugs for the treatment of HIV may lead to premature aging. The study was published June 26th in Nature Genetics. The findings of this research help explain why some people who are receiving treatment for HIV with antiviral drugs demonstrate signs of frailty and diseases that are age-related like dementia and cardiovascular disease. Professor Patrick Chinnery said that it is a real mystery how HIV clinics saw patients who have been successfully treated but show signs that their body are older than their age. Professor Chinnery is a fellow at the Institute of Genetic Medicine Newcastle University. Normally, our DNA is copied our entire lifetime; but as we grow older, DNA replication accumulates errors. Chinnery explained that they have reason to believe that antiretroviral drugs accelerate the rate to which these errors occur. 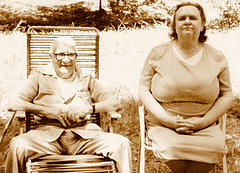 He added that patients who stopped taking the medications years ago are still at risk for early ageing. Study co-author Dr. Brendan Payne said that the drugs may not be perfect but they are relatively cheap and they give patients with HIV extra 10 to 20 years. He added that this is extremely important for Africa where HIV rate is high but the resources are quite low. Lifestyle modifications such as getting more exercise, losing weight and drinking less alcohol could significantly decrease the rates of breast cancer throughout a whole population, a new model that roughly calculates the effect of these modifiable risk factors showed. Often, such models are used to approximate the risk of breast cancer based on the things that women cannot modify, such as history of the disease in the family. Up until now, there are only few models that show how women can minimize their risk of getting the disease through modifications in their lifestyle. The researchers from the U.S. National Cancer Institute constructed the model using the data gathered from a study accomplished in Italy. The study was comprised of above 5,000 women. Meanwhile, the model consisted of three risk factors that can be modified such physical activity, body mass index and consumption of alcohol. It also included five risk factors that are impossible or difficult to modify such as biopsy history, education, family history, job activity, and reproductive characteristics. The point of reference for some modifiable lifestyle factors composed of obtaining a minimum of 2 hours of exercise per week for 30 to 39-year-old women and acquiring a body mass index below 25 in women aged 50-years-old and above. The model forecasted that changes in modifiable risk factors would lead to a 1.6 percent decrease in the 20-year absolute risk in the population of 65-year-old women and a 3.2 percent decrease in women with a history of breast cancer in the family. Also, it has a 4.1 percent decrease in women with several non-modifiable risk factors. The authors of the model pointed out that the forecasted lifestyle changes to reach these goals may be excessively optimistic. However, they said the findings could help design programs that are intended to persuade women to perform lifestyle modifications. A recent study suggests that children whose mothers smoked during pregnancy have lower high-density lipoprotein (HDL) levels, also known as the “good” cholesterol. This raises children’s risk of suffering from heart attack and stroke later in their life. The study, which was carried out by Australian researchers, has 405 participants at the age of 8 and in good physical shape. The researchers discovered that those children whose mothers smoked during pregnancy had good cholesterol levels of about 1.3mmol/L, which is below the normal level of 1.5mmol/L observed in children born to non-smoking mothers. David Celermajer, a cardiology professor at the University of Sydney and lead author of the study, said in a journal news release that the results of the study suggest that smoking during pregnancy marks a set of unhealthy characteristics on children while they are still developing in the mother’s womb. He said the characteristics last for a minimum of eight years and longer. Published in the European Heart Journal on June 21, the study reports that the result was independent of whether the kids were exposed to cigarette smoke after birth. It suggested that prenatal exposure still had the greatest impact on subsequent effect. Celermajer and his colleagues noted that the rates of maternal smoking are still high. In most Western Nations, there are about 15 percent smoking pregnant women. 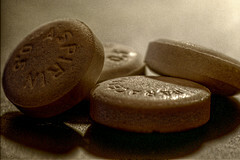 This means the results of their study could be beneficial in the efforts to prevent heart problems. Children whose mothers have smoked during pregnancy should be observed carefully for other heart risk factors such as high blood pressure, smoking and high levels of LDL or “bad” type of cholesterol, Celermajer said. A Supreme Court ruling on Thursday announced that people may not sue manufacturers of generic drugs under state laws despite thinking that the generic drug label did not adequately warn consumers of the possible side effects. The Teva Pharmaceutical Industries Ltd, Actavis Inc, and Mylan Inc all went out victorious in three consolidated lawsuits against them due to the Supreme Court ruling released Thursday. The Plaintiffs argued that they suffered from Tardive dyskinesia – a neurological disorder resulting to involuntary and uncontrollable repetitive body movements – after taking the generic drug metoclopramide. The insisted that the drug they bought were not adequately labelled and did not warn them on the possibility of such side effects. Evidence started to surface in 1985 that long-term use of the said generic drug could have very serious side effects; however, strong warnings in the drug labels were only added by FDA in 2004 and 2009. It was only in 2009 that FDA ordered a specific box label warning that says long term use of metoclopramide may lead to tardive dyskinesia…it should not be used longer than 12 weeks except in rare cases when it is necessary. The plaintiffs were prescribed the generic drugs even before the label was issued in 2009 but they strongly believe that the state should have taken more actions to protect their consumers. They said that since substantial evidence long suggests that long-term use of the drug is harmful, the state should have done something about it. The Supreme Court decided in favor of the drug manufacturers because the federal law states that generic drug labels should follow the brand name labels they are copying. Doing otherwise is a violation of the federal law. New research suggests that there is a strong connection present between persistent exposure to air pollution, as well as poor asthma control. The study carried out by researchers was composed of 481 adults diagnosed with the inflammatory airway disease called asthma. The details provided by the adults about their respiratory condition from 2003 and 2007 were compared to the levels of pollution in the air in five particular cities where the participants have lived in France. The researchers examined the levels of ozone, nitrous oxide and particulate matter in the air. These three components are the types of air pollution. According to the study, about 44% of the adults had good asthma control, 29% had fair asthma control and 27% had poor asthma control. 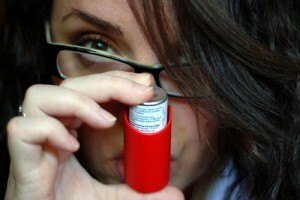 The study says older people and women were more prone to have uncontrollable asthma. Results of the study suggest that there is a strong connection between very poor asthma control and levels of particulate matter and ozone. The chances of having poor asthma control was 69% higher among those exposed to ozone for a very long time and 35% for those exposed to particulate matter. Asthma is an airway disease that manifested by shortness of breath, coughing, wheezing and chest tightness. It is genetically-inherited, but can be triggered by several environmental factors. As of 2010, about 300 million people were affected by this condition. The researchers concluded in a journal news release that both ozone and particulate matter concentration in the air jeopardize the control of asthma in adults. They say their findings are very strong.